Last year I attempted to host this event. However at the time I knew only like two other cloth diapering Moms who lived anywhere near here. So I cancelled the event and as a result met my now good friend Liz. So this year we discussed hosting it together. I will admit Liz has done 99.9999% of the work though. She is amazing. Through her the NNY area now has a location, tee-shirts, goody bags, and the event is ago. The Green Mommy will be helping the event though, doing whatever she needs me to do, and even putting flyers and 10% off coupons in each goody bag. Fern I think will be with us at the event too. Bug has a habit of carrying her around now. So what is the Great Cloth Diaper change? http://greatclothdiaperchange.com/ It is a large event hosted all over the world to try and break the record for changing the most cloth diapers at once. It takes place on Earth Day each year and is a great way to spread the word about cloth diapering. I am already getting so excited about it... mostly because this time last year I knew only two other Moms who cloth diapered. I k\now know so many I can't keep track. My cloth diapering group now has over 80 people in it. 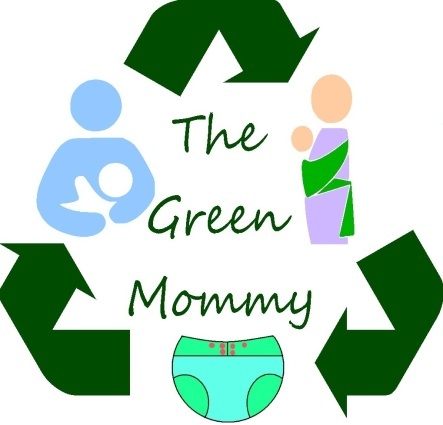 This has been such an eventful year for both cloth diapering as well as The Green Mommy in general. I had a few posts go kind of viral, one of which got my blog 450 hits in one day. It's mini viral but hey I will take it. The more Moms I reach out to, the more Moms who decide to live more environmentally friendly, to cloth diaper, give breastfeeding a try, maybe even start a compost bin and always recycle... well that's more Moms making a difference in this world for the future generation. So if you are a local reader than please join us in Massena NY and if you are not then I urge you to seek out a local event place near you.